Wow, they grew up hot! 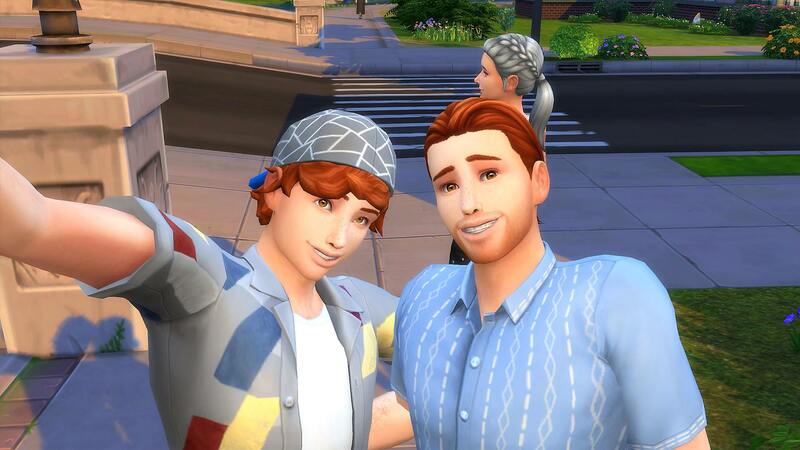 I've had some pretty faces for sure through my legacy as has everyone else it seems! 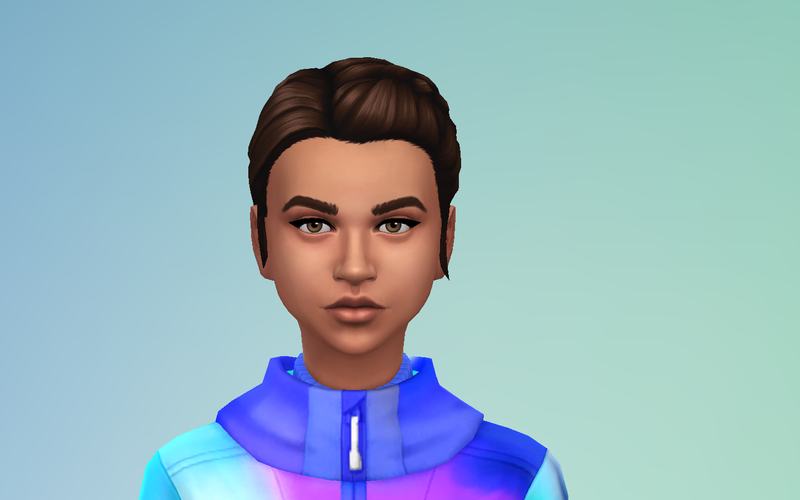 I'm excited to see how my 5th gen kiddos look when they age up so maybe they'll get their spot in this thread later. 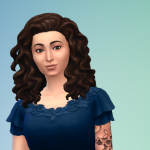 My born in game sim Daniella, I think she's beautiful! 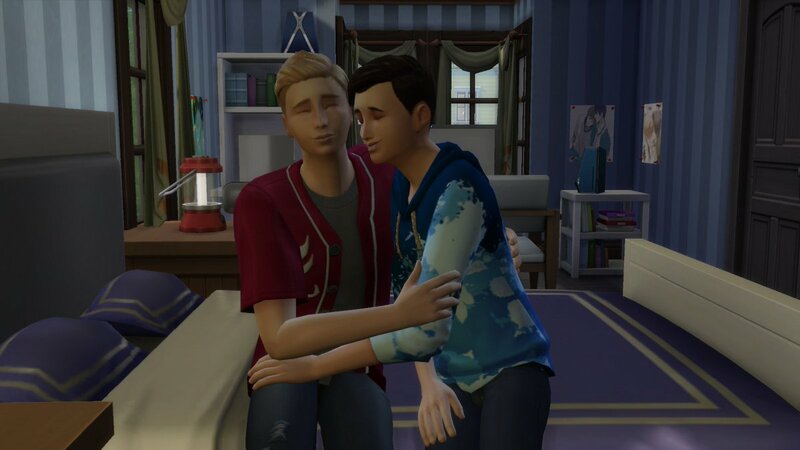 Everyone has such beautiful sims!! I've adopted so many kids that grew up looking so darn hot! 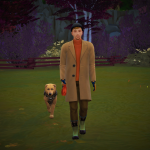 On today's episode of things that are normal to say in the sims but questionable at best irl! Origin Id is Zeldagirl180 feel free to add me! I know right! She is just like her mother, lol. 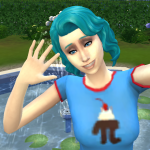 I really like the sim Calia Calivan! Thank you! 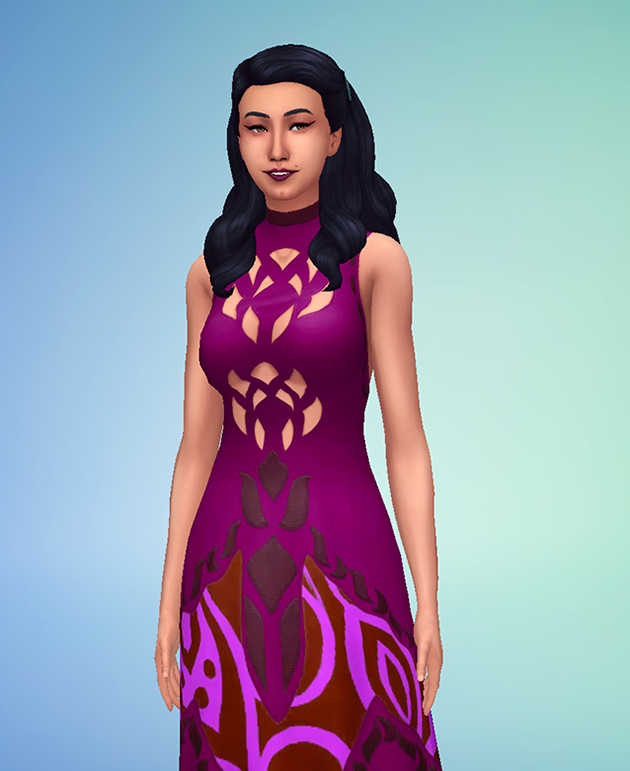 She's turned out to be one of my fav sims in the this save/"legacy" (not really alegacy challenge, just been playing several gens now). 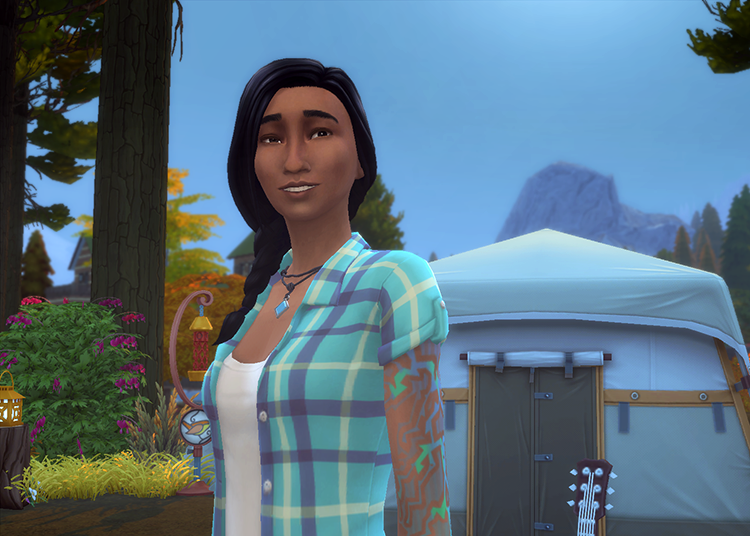 She's an alien (born of abduction) and has the archaeology aspiration, which is REALLY helped by her cheerful/loves outdoor traits lol. 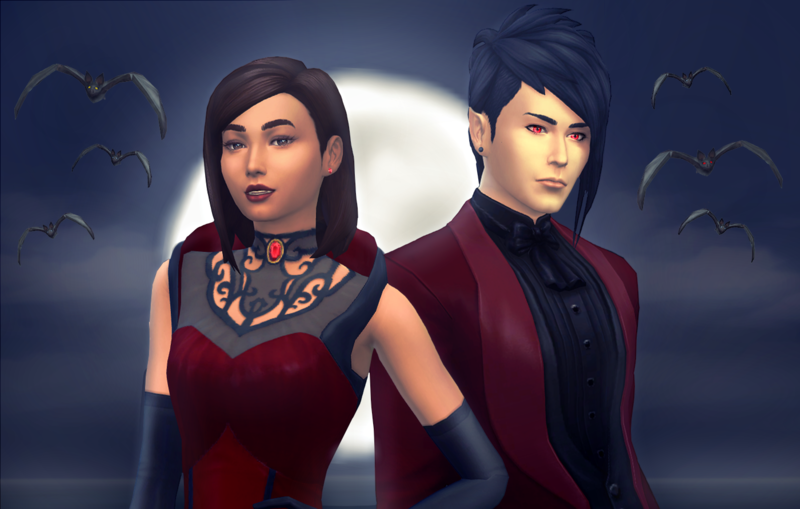 I've uploaded the whole big crazy Vampire/Alien Calivan Clan to the gallery, but I was thinking of uploading just her as well, since I've had such fun wit her. Think anyone would be interested? 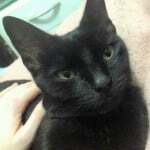 Angelina is adorable btw! I love that nose! 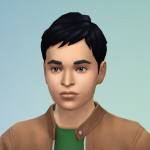 @PotterheadSim your sims look amazing, and definitely all look related to haha! 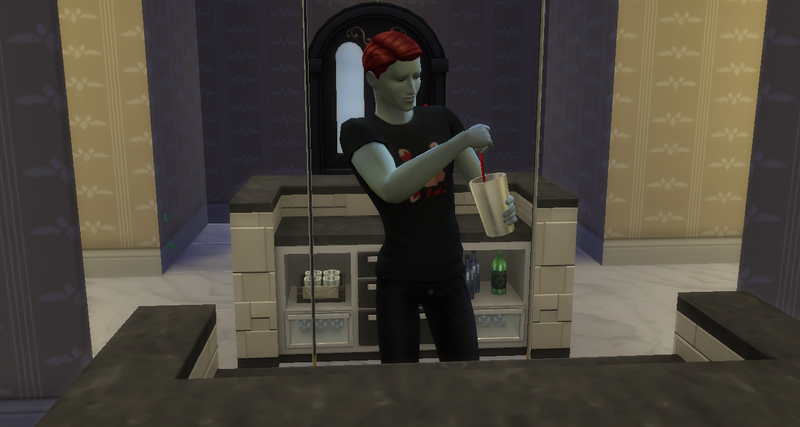 @kathykin I have vampire aliens too, but they pretty much always just revert to their "alien" form :-/ My first was one of my favorite age-up looks actually! 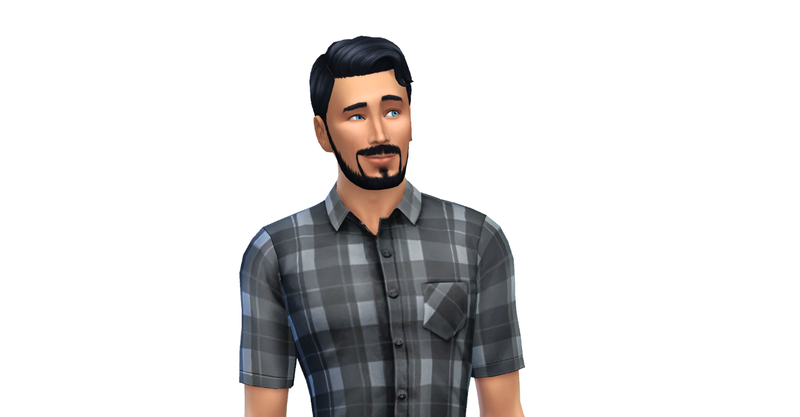 He had hair at first, and I kept him basically exactly as he aged up, just changed his outfit...but it never sticks. And I thought he looked so striking! 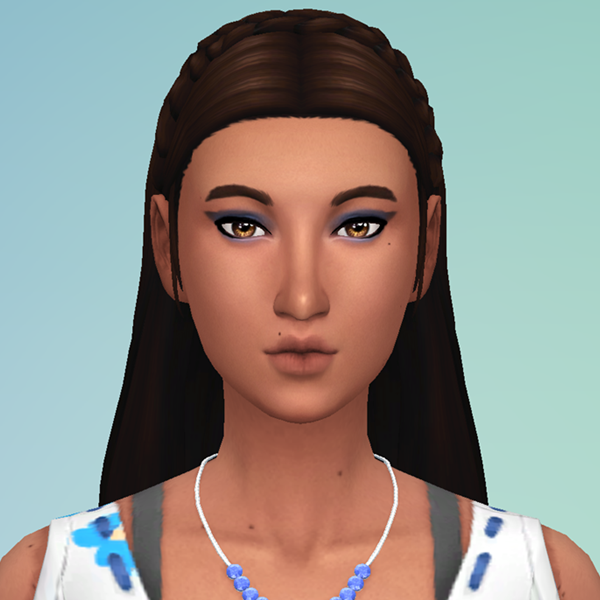 Camila De La Torre (same parents as Manuel and Elena that I'd posted earlier in this thread) aged up into a teenager today. This family makes cute babies. There's one more boy this generation who is still a child, plus Elena has twin girls who are toddlers. I'm looking forward to seeing them age up. 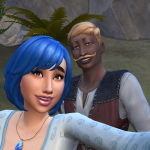 The parents of these Sims are Lando (RIP) and Sophia. 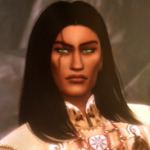 Gia Benali: Salim Benali and I-forget-who's daughter, completely courtesy of MCCC. 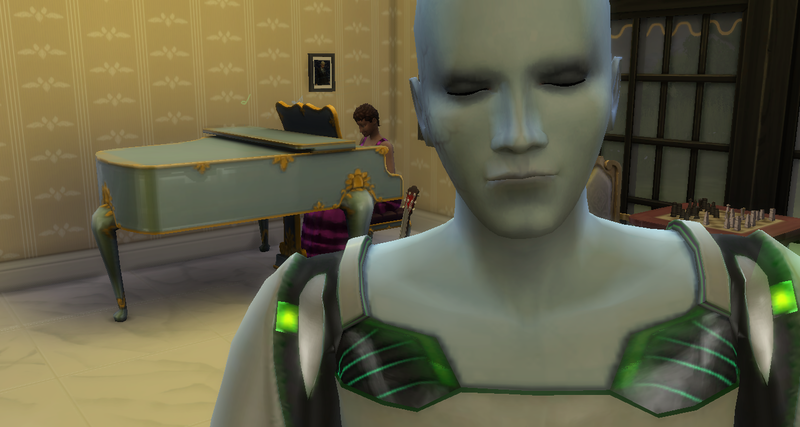 Originally, I was hoping to marry my alien abduction son from my legacy challenge to her, but she disappeared as soon as their date began, so I took that as sign she wasn't interested. Plus she hates children. 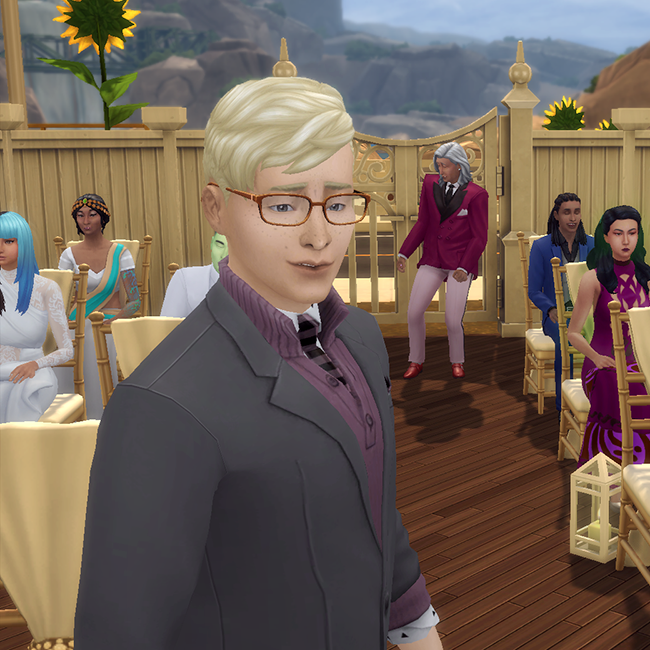 The thing I love the most about these kind of threads is to see the variety and what each simmer considers beautiful. 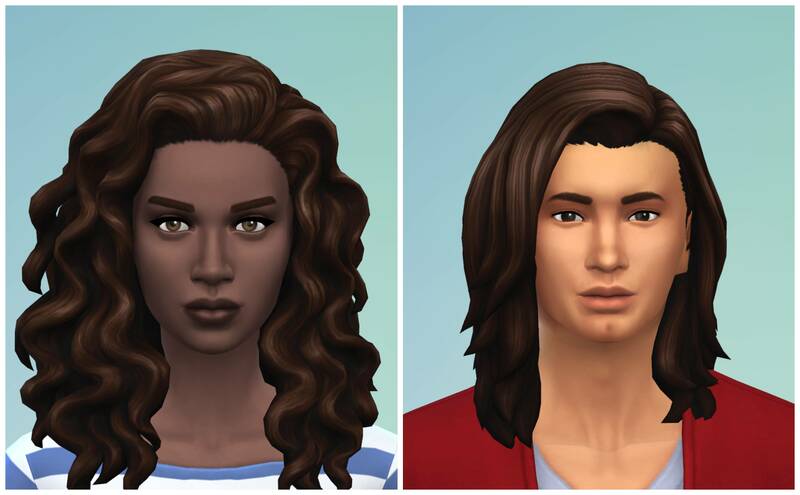 Here are some of my born in game sims that I find stunning. 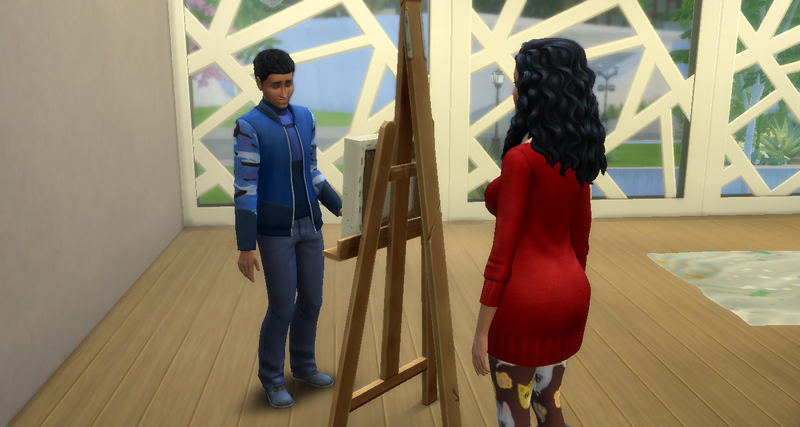 All my creations are CC free. Here are some Guys that grew up quite good looking when gown up. They are all unedited besides hair and facial hair, but features were all natural. 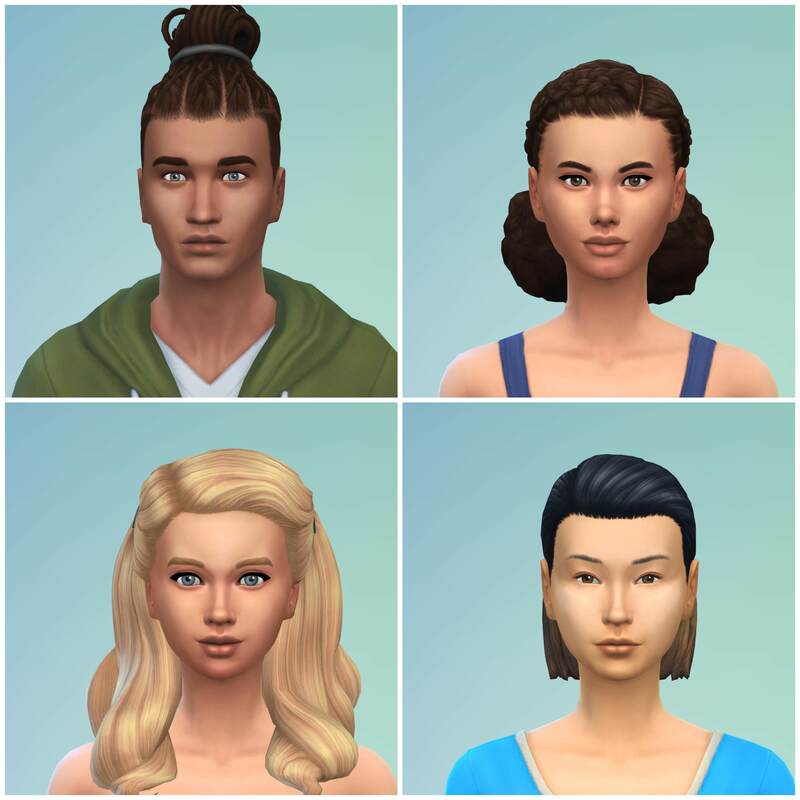 One of my 3rd gen sims had five insanely attractive children! 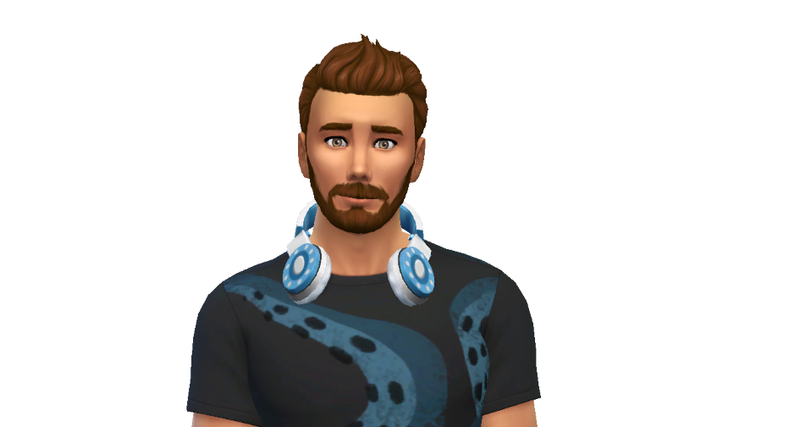 All were born in game with no facial/body editing (sometimes I adjust them to look a bit less odd if say the chin is super far down, but didn't need to do this with these). 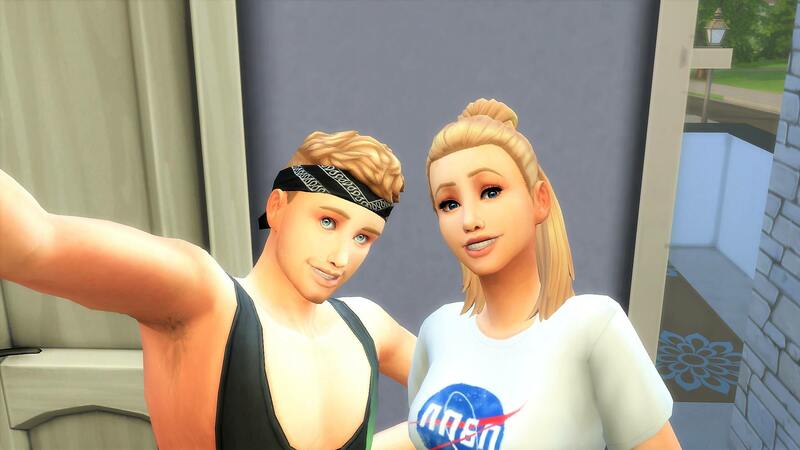 The parents were also both born in game! 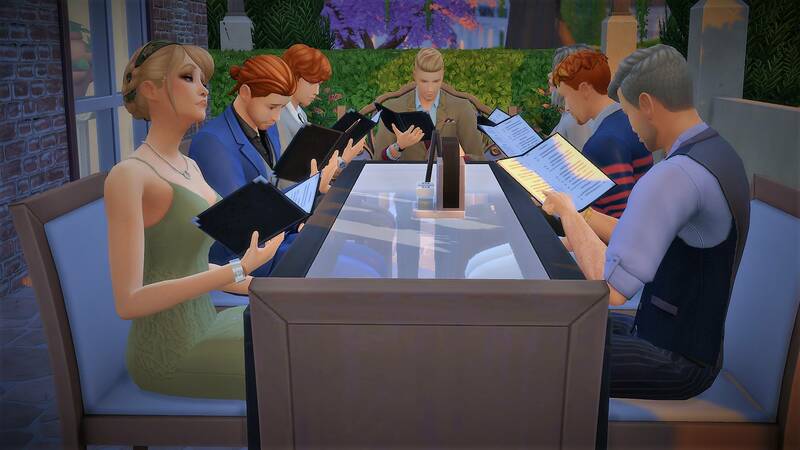 Lastly, a family pic of them at a restaurant, showing off all their good looks! 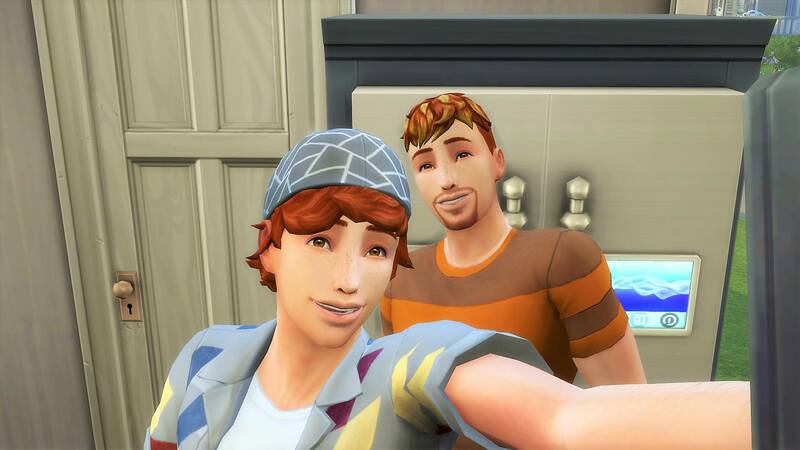 I've never had such a good looking family before! 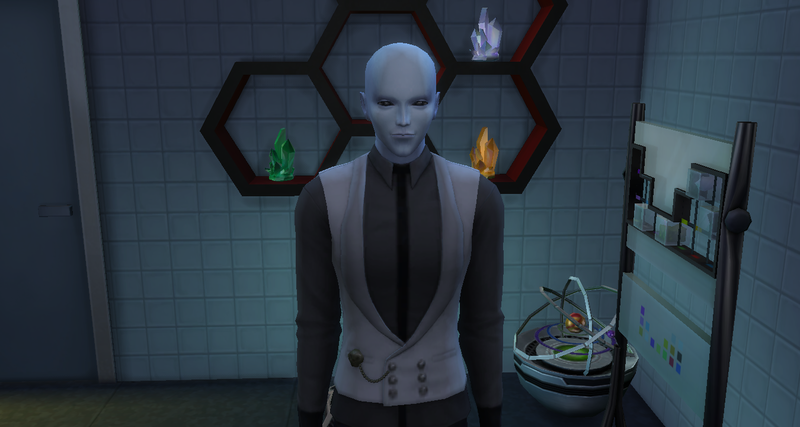 Honestly, this game has lowered my expectations so much through badly generated, absolutely creepy looking sims, that any sim born in game that looks halfway normal I consider beautiful. 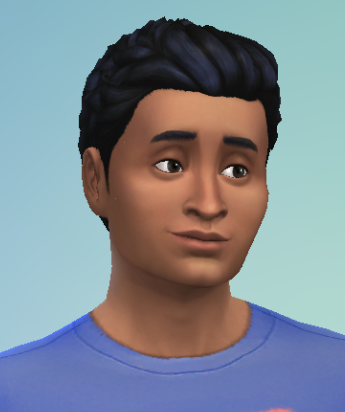 So, Salsa's little brother Sal also made out pretty well in the looks department. He's self assured, and constantly gets the whim to admire himself in the mirror, lol. 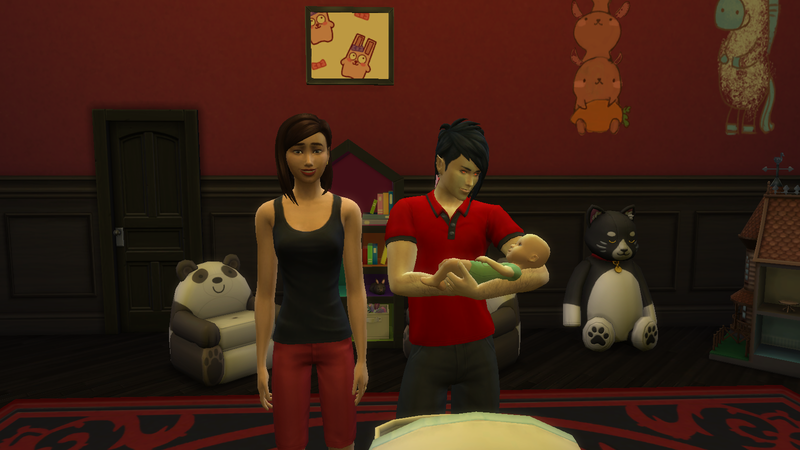 Onyx and Amelia have recently made a new addition to their family (hint: their third child!) 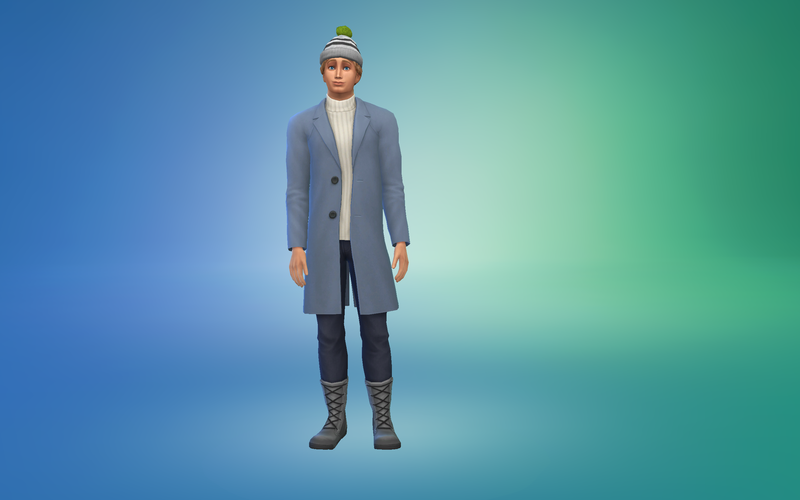 and I'm going to be aging him up to teen soon. 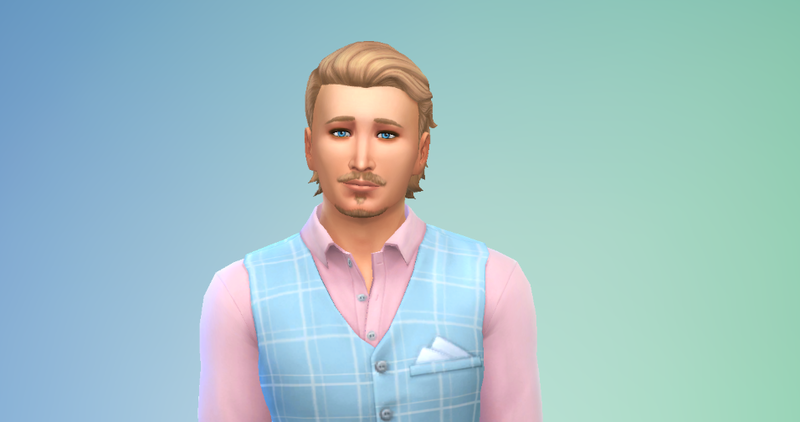 His name is Adiran and I thought I'd at least post what he looks like so far, I have a feeling when he ages up he's going to be pretty good looking. 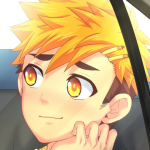 He's such a cute kid, I can't wait to seen what he looks like when he's all grown up into a teen. 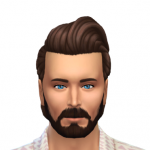 Once I get rid of the inevitable tacky clothes, half-bald hair and awful eyebrows he'll look fine I'm sure!